(http://thecompletepatient.com) After four hours of of deliberation Thursday, a six-person jury convicted Alvin Schlangen of five criminal misdemeanors. Schlangen received a $300 fine and a stayed sentence of 90 days in jail. 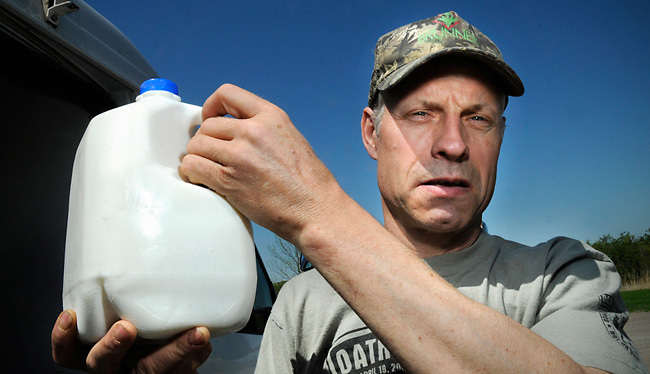 According to Nathan Hansen, Schlangen's lawyer, he is expected "to comply with all Minnesota food laws, including raw milk laws." Referring to the dirty tactics used by the prosecution, he noted, "It was interesting that raw milk wasn't mentioned in any of the charges, and at the end of the day, it was about raw milk." The prosecutors may have presented misleading evidence to the jury, including the seemingly random illness of a food club member and using owners or managers of food producers as witnesses to convince the jury that Schlangen was running a commercial operation involving meat, eggs, and other foods. This is a huge victory for the bureaucratic government which seeks to control all facets of our daily lives and a tremendous loss for advocates of independence and food freedom. While not everyone appreciates the value of raw milk, this case gives evidence of the incessantly growing regulatory bodies that, if left unopposed, will continue to undermine Americans' individual liberties. How many deputies does it take to suppress raw milk freedom?